Dialogue: Filmmaker Nelson Walker in person for introduction, Q&A, and extended reception. The Vino Vérité series features talented new voices and established masters of vérité filmmaking in person to present their thought-provoking, chance-taking, and visually-arresting films. Each selection is paired with hand-selected wines from Wally "The Wine Guy" Plahutnik of Bread Garden Market. The final film from vérité legend Albert Maysles is a collaboration with four other emerging nonfiction talents, one of whom will join us for this unique event. Prior to its Iowa City unveiling, the film has only screened at three prominent East Coast festivals. 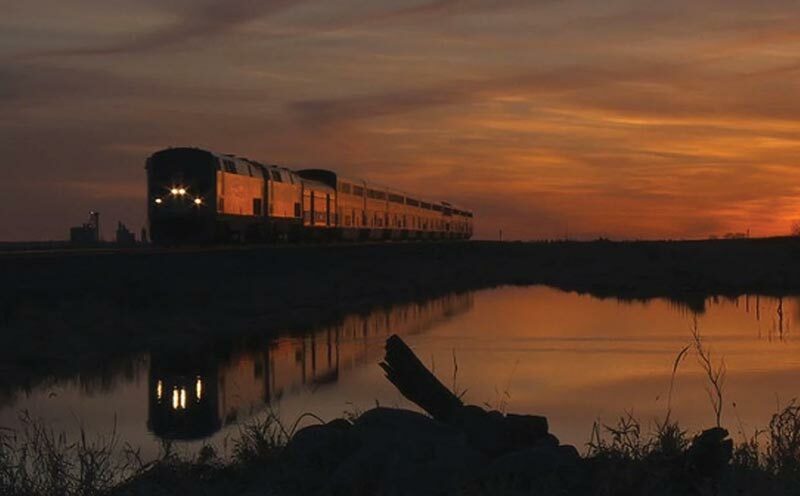 IN TRANSIT journeys into the hearts and minds of everyday passengers aboard Amtrak's Empire Builder, the busiest long-distance train route in America. Captured in the tradition of Direct Cinema, the film unfolds as a series of interconnected vignettes, ranging from overheard conversations to moments of deep intimacy, in which passengers share their fears, hopes and dreams. In the space between stations, where 'real life' is suspended, we are swept into a fleeting community that transcends normal barriers, and where a peculiar atmosphere of contemplation and community develops. To some passengers, the train is flight and salvation, to others it is reckoning and loss. But for all, it is a place for personal reflection and connecting with others they may otherwise never know.